With the growing popularity of Linux, the number of quality applications that are available for this platform has also increased. Gone are the days when Firefox was the only non-geeky Linux application and everything shiny was on Windows. Linux can now boast of a variety of applications, games and utilities that can make the naysayers change their view about this rapidly growing platform. So, without further ado, here are 10 great desktop applications that have found their place in the hearts of almost every Linux user out there. Firefox undoubtedly is the most used application on Linux. Be it the shell-based Ubuntu or the pure and simple Debian, the open-source browser is used by millions across the world. Firefox's huge popularity can be attributed to the fact that it is the default browser on most of the Linux-based distributions. Moreover, thanks to the sheer amount of features it provides across every platform, it makes switching easy for users migrating from Windows or Macs. This award-winning browser is one of the few software that has managed to find its place in the Guinness book of world records. Wine which stands for 'Wine is not an emulator', is an open-source software that enables users to run Windows-based games and applications natively on Linux. The hugely popular application has over a million users worldwide. Wine, by bringing to Linux all the coveted stuff Windows offers, makes it very easy for Windows users to switch to this developing platform. Any seasoned Linux user would agree that Amarok is probably the best music player / iTunes replacement for Linux. There were people who switched to Linux just for Amarok. After Amarok 1.4, the new KDE4-based version pissed off quite a lot of loyal users. However, the team quickly managed to bring back all the niceties of the old version to the new one. Hence, Amarok undoubtedly stays on the list as one of the most popular desktop applications for Linux. This is another software that eases the switching hassles many Windows and Mac migrants face. Formerly known as Openoffice, LibreOffice is one of the most popular office suites out there; second only to Microsoft's Office suite. The most attractive part about this software is that it provides almost every feature Microsoft Office offers at a cost only a few can beat, that is free. Since the 'liberation' of OpenOffice, expectations are high from LibreOffice and there's no doubt that it will live up to them. Another Mozilla product ranking high on this list is Thunderbird. Thanks to the huge amount of features this desktop mail client provides, it has become one of the most popular applications for this platform. The reason Thunderbird is so in vogue amongst penguinians is due to lack of any competitive mail client for this platform. Also, by offering features like add-ons support and easy configuration, Thunderbird easily beats competing Linux e-mail clients like Evolution and Kmail. There are also chances that Thunderbird might become the default client for Ubuntu's next release. Though Banshee replaced it in Ubuntu's latest distro version, Rhythmbox still remains one of the most widely used media players for Linux. One reason for its popularity is the fact that there are many Ubuntu users who haven't upgraded yet. Moreover, there are distributions that are still using Rhythmbox as their default music client. When compared head-to-head with Banshee, Rhythmbox misses out on a lot of features. However, there are still a lot of users who swear by Rhythmbox's simplicity and stability. Since becoming the default music player for Ubuntu, Banshee has become one of the most popular music players around. Thanks to the tons of features it comes with, it has found itself being used by a lot of new users. Features like Amazon store support, video playback capabilities, and multiple-device support make it a better player when compared to its closest competitor Rhythmbox. Dropbox is one of the very few proprietary software that has been so popular amongst Linux users. Dropbox is a free web-based service that uses cloud-computing to enable users to store and share files and folders with others across the internet using file synchronization. One of the striking features of Dropbox is its tight integration with the rest of the desktop. Users just have to 'drop' files into a folder, and it is instantly backed up on the cloud. Dropbox works exceptionally well on Ubuntu and makes perfect use of the unique features the distribution provides. If you're uncomfortable with the idea of using a proprietary tool on your desktop, then there are unofficial open-source builds of Dropbox like Kdropbox. The Linux community has been making a lot of efforts to dispel the myth that Linux is just for geeks. However, most of the Linux userbase still consists of hackers and developers. Hence, a terminal emulator makes its way into this list as one of the most popular software for Linux. GNOME Terminal is not a tool that is just used by developers; in fact, many new users might need to use the terminal from time to time. This usage also includes copying and pasting tips, tricks and instructions found on technology blogs like ours. Since its release, Google Chrome has managed to build up quite a following amongst Linux users. Also, with the announcement of Chromebooks, the Google-owned browser is also prepping up to become a full-fledged Operating system. Such is the popularity of this browser that there were talks of making it the default web browser for Ubuntu. Finally, do tell us if we've missed out on any software. Also, please share with us your top 10 desktop applications for Linux. vlc is also popular one on Linux. This really isn't a top at all, unless is a top of _your_ preferred applications. Of all 10 listed here, only one really has a "place in the hearts of _almost_ every [GNU/]Linux user out there" and that is LibreOffice, but that is true if we only count the users of a desktop environment that don't edit their documents in vi(m) or emacs, leaving the rest of the users out of the discussion. Please keep in mind that Ubuntu is _not_ the only variant of GNU using Linux as a kernel, and Linux itself is not the whole OS. If one application is part of a live CD of some distribution, that doesn't make it popular at all. where do you get the numbers from?? Interesting post, but is this just a random list of "popular applications"? Is it based on some sort of user survey, download tally, default inclusion in x-number of distros? While I don't necessarily need to know that Rhythmbox has 50 more users than Banshee, it would be nice to have some quantifiable measure of how many desktop users are in the Linux camp. not a user of gimp, but i thought it was pretty high on the list of linux. Not included applications such as VLC and K3B make me wonder about the accuracy of such a list. Almost everybody I know uses and recommends VLC and I know many GNOME users who use K3B as a burner. Three sound media players and not a video media player is an oversight. Are you suggesting that users do not watch videos on their computers? What about download managers and IM clients? What about Evolution which comes with most GNOME based distros? I've used Linux for over ten years and never used Banshee. Since many free software advocates will not use Mono that cuts out a significant number off the top. It is not even the default media player for most distributions. What about RealPlayer for Linux? What about TrueCrypt for Linux? 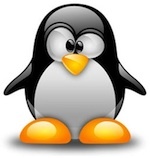 What about VMWare Server for Linux? What about Avast! for Linux? What about World of Goo for Linux? Good grief man, where have you been? You should definitely check out Yakuake instead of GNOME terminal, a lot better. and then there are also a couple you can't miss like Digikam for photos and Kdenlive for videos, KTorrent, Krusader for file management, Choqok for microblogging, VLC for video playing, K3b for burning CDs/DVDs/Blu-rays.